The number of individuals supporting charitable organizations around the world appears to be shrinking. In Australia, a recent study found that 81% of Australian adults gave a total of $12.5 billion dollars to charities over 12 months in 2015/16, up from $7.7 billion in 2005. In 2016, the average donation was $764.08 and the median donation was $200. However, the research also pointed to a trend of fewer people giving more. While the percentage of people donating slightly decreased, the average donation increased in real terms by $210.16. The three-year $1.7 million Giving Australia 2016 project is described as the largest ever research effort into philanthropic behavior to understand how, why and how much Australians give to charity. The study noted this trend in charitable bequests: In 2005, around 58% of Australians had a will and of those, 7.5% had included a charitable bequest. The current study shows that 51% had a will and again 7.5% have included a charitable bequest. “So despite very good efforts from campaigns like Include a Charity and charities becoming more sophisticated in getting the message out about leaving a gift in your will, we still have that social phenomenon that fewer people are actually making a will,” according to Wendy Scaife, who directed the Australian study. A number of US researchers have also noted that fewer people are giving, but those who give are making larger donations. 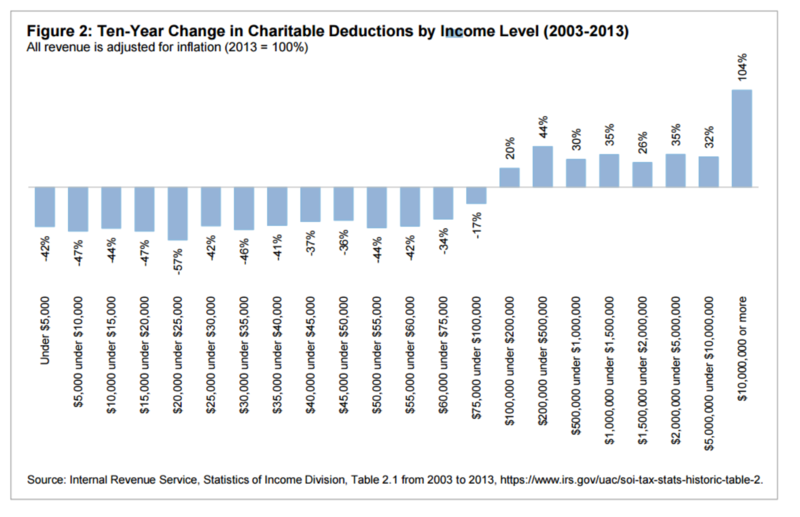 For example, the authors of Gilded Giving: Top-heavy Philanthropy in an Age of Extreme Inequality, cite IRS data that shows giving by itemizers in income brackets above $100,000 increased by 40 percent between 2003 and 2013, while giving by itemizers in brackets below $100,000 declined by 34%. The recent Coutts Report notes that in the US, the number of million dollar gifts in 2015 was up 71% over 2014 and the value of those gifts was up 37%. What trends are you seeing in charitable bequest commitments? How are you prioritizing acquisition and retention of “small” donors in your gift planning program?